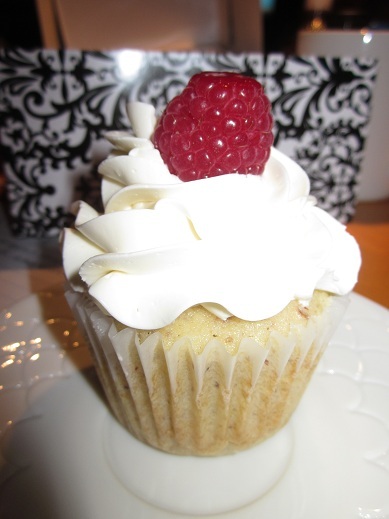 The Cake Critic: National Vanilla Cupcake Day in U.S.
National Vanilla Cupcake Day in U.S.
Today is National Vanilla Cupcake Day in the United States. Why you ask? I can only guess that it's because Thanksgiving and Christmas are looming ahead of us, which brings a lot of cinnamon and other spices. Vanilla is, well, so vanilla. It gives our palettes a break from spice and rich food overload. I love vanilla. It's a good "holiday" in my book. The holiday season is also known for pies: pumpkin, pecan, mincemeat (yuck) and chocolate, which brings to mind that December 1st is national Pie Day. ??? Like we need excuses to eat sweets here in America. Oh and National Cookie Day is December 4th. We can't forget our cookie lovers out there, now can we? According to this website, there are food holidays nearly every day of the year. Who knew? Who cares. But it's interesting. My birthday falls on National Punch Day. I'll have mine with some vodka, please. After reviewing the list on that website, I found that September 1st is National Welsh Rarebit Day. What the...I have never even eaten Welsh Rarebit and actually don't even know what it is. I am wondering how many of you have eaten it. Why these holidays? Is it a joke? Perhaps. It is quite comical. July 18th is Caviar Day. Now I can almost guarantee that a large percentage of the American population has never eaten caviar. I can't get it past my nose to try it. The thought turns my stomach. My point is...if you need an excuse to eat something in particular, go check out these "holidays." National Cake Day is November 26, by the way. But you see, I don't need an excuse to eat cake. Neither should you. Life is too short to skimp on cake. Welsh Rarebit and caviar on the other hand...not so much.